3 Rooms apartment in downtown Zurich. 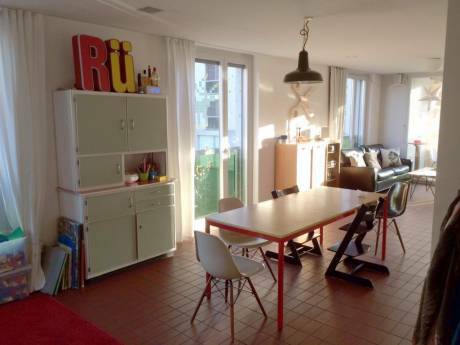 Our attic flat is a two bed room apartment and it's located in the center of Zurich. One room is a child room with lots of toys and a single bed. The other bed room is the parents bed room with a double bed. We have an open kitchen/living room with a big panorama window through which you have a great view to the mountain. Our home is very bright, cosy and quite. A big terrace belongs to our apartment where you have the option to grill in the summer and a great view over the city. We (m 35, f 30) love to travel, check out other countries, cultures and cities and prefer living where the locals live. Sometimes we travel with sometimes without our 3 years old daughter. 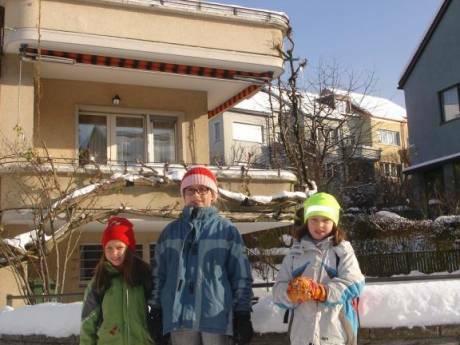 Our flat is also very suitable for a family with a child given that we have a nice child room. We are very responsible, proper and will take care of your apartment. This is also what we expect from you. This is the first time we will give our apartment to an exchange and we are looking forward to a swap. 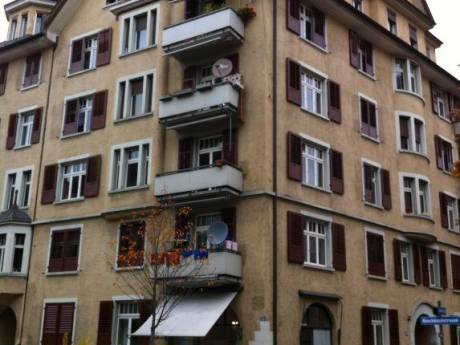 The flat is located in the heart of Zurich, altough there is not much traffic because the street in front of the house is a one way street. There are many groceries near by. Restaurants, cafes and bars are in walking distance and the lake is pretty close too. In Zurich you don't need a car, you get everywhere in no time by public transportation.